While I have not met Dr. Lance Storm I have had some email contact with him and have followed his published work. He has a PhD in psychology from the University of Adelaide, South Australia. 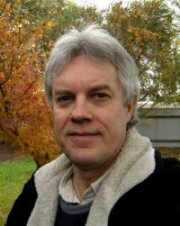 Lance is the editor of the Australian Journal of Parapsychology and has been granted several honors. He was granted the Parapsychological Association’s Outstanding Contribution Award (2012), and the Gertrude R. Schmeidler Student of the Year Award (2003), and the Parapsychology Foundation’s Frances P. Bolton Fellowship (2007). Lance currently is at the Brain and Cognition Centre in the School of Psychology, University of Adelaide, where he conducts research on ESP and PK. He is also interested in psychological topics such as emotion, motivation and perception. As seen in the bibliography below Lance has published books and many papers. All his contributions have been valuable, but I tend to consider his meta-analytic work particularly important. I am referring mainly to his paper in the Psychological Bulletin, with P.E. Tressoldi and L. Di Risio, “Meta-analyses of free-response studies 1992-2008: Assessing the noise reduction model in parapsychology” (Psychological Bulletin, 2010, 136, 471-485 ). This work, and his reply to critics in the same journal, are among the most important defenses of ESP research in modern times, defenses that have been very important in the public presentation of parapsychology in academia. How did you get interested in parapsychology? My interest in academic parapsychology was a rather late development. As a small boy in grade school (I was about 6 years old), we had play time in class with the toy collection. Every day, I would race to the box of magnets to get them before someone else did because I was absolutely fascinated and totally absorbed by the phenomenology of magnetism (i.e., the attractive and repulsive forces between two magnets). I could see no visible reason why magnets should behave like that. It was a total mystery to me. It still is. I have been hooked on invisible forces ever since. A few years later, I would borrow Leonard de Vries books (The Book of Experiments and The Second Book of Experiments) from my local library—these were a series of books of experiments that kids could do at home using typical domestic items (you can still buy them). So, I became an experimenter. In high school (c. 1970s), electronics took my fancy, but then along came Uri Geller. Invisible forces mystified me again, but somehow I never got interested in physics. Then I read Carl Jung, and became fascinated by synchronicity. ESP and PK were it for me after that. But, as I said above, it took a while before I got involved seriously (i.e., academically). I worked in the Public Service for many years, and I only semi-retired from that field of employment in the 1990s before I went back to university to pick up where I left off in the 1970s. I went on to complete an Honours degree and a PhD in psychology and parapsychology. Since 1998, I have been almost entirely pre-occupied with parapsychology, experimentation, research and writing, but also with the social aspects of parapsychology, which includes building up the good-standing and reputation of the Australian Institute of Parapsychological Research, Inc. (AIPR), helping to make successful its annual lecture series (now in its 6th year), editing the AIPR’s journal the Australian Journal of Parapsychology (AJPara), and the newsletter (The AIPR News), managing the AIPR online courses, and managing the AIPR website. Socially, I also take great interest in attending the Bial Symposia whenever I can—I have attended three of these now (2006, 2010, and 2014), and enjoy them more and more each time I go over to Portugal. What are your main interests in the field and how have you contributed to its development? I’ve dabbled in a number of areas looking for ESP effects in divination (I Ching), gambling, sheep-goat effects, and vision-impaired people. I would like to specialize in systems of divination. Some years ago, astrology was of interest to me. I submitted a proposal to the Bial Foundation which they approved, but could not fund because they already committed to funding two of my experiments at the same time. I think something paranormal is involved in the astrological process. I published a couple of papers on astrology, including a statistical analysis of ‘triplicity’ (which refers to the four elements, Earth, Fire, Water, and Air, each of which has three of the 12 signs). I found some evidence that triplicity could predict accidental death—this article appeared in the peer-reviewed journal Correlation. I have worked with psychics (mediums) while investigating haunted public buildings, but I also conducted tests on, and wrote a peer-reviewed article for AJPara about, a Bosnian psychic who was living in Sweden at the time. Psychics (and I mostly mean mediums) intrigue me with the things they say. They just come out with veridical knowledge about me. Often, I say “No, that’s not right,” because they say things I can’t even remember until much later. It’s uncanny how they have access to my thoughts that even I can’t remember. It seems that things I’ve experienced—even my deepest memories—are locked away, but can be ‘read’ nonetheless. I found the Swedish psychic was about 82% accurate. I am also the editor of, and regularly contribute to, the AIPR’s journal the Australian Journal of Parapsychology (AJPara). Starting AJPara was the idea of the late Dr. Michael Thalbourne and AIPR Public Officer Mr Robb Tilley. AIPR used to publish two slim psi-oriented volumes (first, the A.I.P.R. Bulletin which then became the Australian Parapsychological Review [APR]). Michael basically upgraded the APR to a journal, the Australian Journal of Parapsychology. It has been in print since 2001, and is generally accessible to lay-persons so that parapsychology does not remain something that only interests academics. AJPara is registered with RMIT Publishing’s online database Informit, so articles and book reviews from AJPara can be accessed electronically on the internet and through some library e-services. We have just signed a contract with EBSCOhost so AJPara articles and book reviews will soon be even more readily available through libraries worldwide. Currently, journal abstracts of key articles can be accessed at the AIPR website. In 2012, I was awarded the Outstanding Contribution Award by the Parapsychology Association, the main reasons for the award being, first, my work with AIPR, and second, the Ganzfeld meta-analyses that appeared in Psychological Bulletin in 2010 which I had co-authored with Drs. Patrizio Tressoldi and Lorenzo Di Risio (an earlier Ganzfeld meta-analysis of mine was co-authored with Professor Suitbert Ertel which appeared in Psychological Bulletin in 2001). Why do you think that parapsychology is important? That there really is an effect we can’t explain, but one that could have untold benefits to humankind if more people would take a positive interest in it, and see the possibilities in its applications. The main areas of application are non-contact healing (a form of PK aimed at healing diseased organs of the body) and psychic detection (crime-solving—locating missing persons, or missing valuables, etc.). Since the 1970s, Stephan Schwartz has been employing psychics to find lost ancient ruins and these efforts proved quite successful. But whose doing this research now; where are the TV documentaries; why aren’t universities picking up where Schwartz left off? Psychic detection has been investigated by S. A. Schouten with some encouraging results, and Joe McMoneagle worked for the Defense Dept. in the USA for 20 years demonstrating that remote viewing was practical. What has happened to that kind of research? Then there’s money-making attempts such as predicting Lotto numbers or share-market trends in order to win or generate large sums of money. I don’t know of anybody specifically working on a system (although Damien Broderick had a go at it in his book The Lotto Effect), or consistently winning at Lotto, although I used to be in contact with a lady who won the Swedish Lotto a couple of times, and she said she did it by predicting the winning numbers. Russell Targ and Hal Puthoff predicted futures prices on the New York Stock Exchange, and made a small fortune, but later attempts failed. So, if there are great fortunes to be won using psi, we don’t have strong, or at least consistent and compelling, evidence for it. As long as we are gambling though, I suggest that non-contact healing and psychic detection are parapsychology’s two best bets. In your view, what are the main problems in parapsychology today as a scientific field? Lack of tolerance. We need a greater tolerance of ideas—especially towards parapsychology—and less skepticism based on narrow-mindedness and misinformation. Let’s hope for a place in academia where parapsychology is taken seriously. Can you mention some of your current projects? Currently, I am working on two meta-analyses. One is on dream-ESP (with Drs. Chris Roe, Simon Sherwood, Patrizio Tressoldi, Adam Rock, and Lorenzo Di Risio) and the other is on the sheep-goat effect (with Tressoldi, Rock, and Di Risio). Some may think that meta-analyses on these two research areas is long-overdue, but it’s probably never been a better time to do them since both databases have been only slowly accumulating over the decades—any time before now might have been too soon. But we certainly need some kind of indication as to whether dream-ESP and the sheep-goat effect are real phenomena. For many decades, there has been a steady decline in dream-ESP research, although Dr. Caroline Watt has recently revived the interest in her 2014 article in Journal of Parapsychology. Since the 1940s, the sheep-goat effect has largely been taken-for-granted, based largely on a few salient papers, although there have been relevant literature reviews (two by John Palmer in the 1970s) indicating the effect is more than a widely-held belief of some parapsychologists, or a lucky streak for some researchers. We hopefully should have firmer answers on both phenomena some time in 2015. Phillips, P. R., & Storm, L. (Eds.) (in press). Companion to The Alpha Papers. Pari, Italy: Pari Publishing. Rock, A. J., & Storm, L. (Eds.) (2014). In search of psi: Contemporary perspectives on extra-sensory perception, psychokinesis, and survival. Pari, Italy: Pari Publishing. Storm, L., & Rock, A. J. (2011). 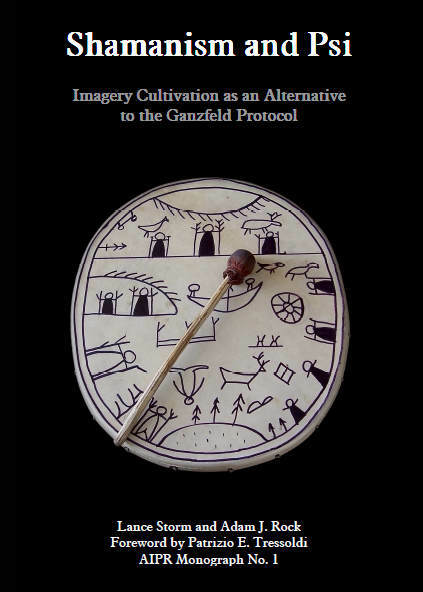 Shamanism and psi: Imagery cultivation as an alternative to the ganzfeld protocol. Sydney, NSW, Australia: AIPR, Inc.
Storm, L. (2010). A parapsychological investigation of the theory of psychopraxia. Saarbrücken, Germany: Lambert Academic Publishing. Storm, L. (Ed.) (2008). Synchronicity: Multiple perspectives on meaningful coincidence. Pari, Italy: Pari Publishing. Storm, L. (2008). The enigma of numbers. Pari, Italy: Pari Publishing. Storm, L., & Thalbourne, M. A. (Eds.). (2006). The survival of human consciousness: Essays on the possibility of life after death. Jefferson, NC: McFarland. Thalbourne, M. A. & Storm, L. (Eds.). (2005). Parapsychology in the twenty-first century: Essays on the future of psychical research. Jefferson, NC: McFarland. Storm, L., & Rock, A. J. (in press). Anomalous cognition and PK research in Australian and Asian labs. In E. C. May & B. M. Sonali (Eds. ), Extrasensory perception: Support, skepticism, and science: Vol. 1: History, controversy, and research. Santa Barbara, CA: Praeger. Storm, L., & Rock, A. J. (2014). Imagery cultivation and extra-sensory perception. In A. J. Rock & L. Storm (Eds.). 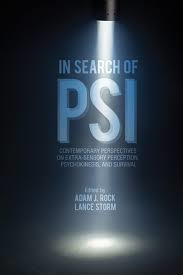 In search of psi: Contemporary perspectives on extra-sensory perception, psychokinesis, and survival (pp. 23-53). Pari, Italy: Pari Publishing. Rock, A. J., Storm, L., Irwin, H. J., & Beischel, J. (2013). Parapsychology. In H. Friedman & G. Hartelius (Eds. ), The Wiley-Blackwell handbook of transpersonal psychology (pp. 401-416). Oxford, UK: Wiley-Blackwell. Storm, L. (2013). A comparative approach to the theory of psychopraxia. In S. Krippner, A. J. Rock, J. Beischel, & H. Friedman, & C. L. Fracasso (Eds. ), Advances in parapsychological research 9 (pp. 82-96). Jefferson, NC: McFarland. Storm, L. (2008). Synchronicity and psi. In L. Storm (Ed. ), Synchronicity: Multiple perspectives on meaningful coincidence (pp. 273-296). Pari, Italy: Pari Publishing. Storm, L. (2008). Synchronicity, causality, and acausality. In L. Storm (Ed. 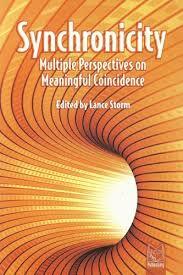 ), Synchronicity: Multiple perspectives on meaningful coincidence (pp. 153-174). Pari, Italy: Pari Publishing. Storm, L. (2008). Synchronicity, science, and religion. In L. Storm (Ed. ), Synchronicity: Multiple perspectives on meaningful coincidence (pp. 249-258). Pari, Italy: Pari Publishing. Storm, L. (2006). A solution: Radical survivalism. In L. Storm & M. A. Thalbourne (Eds. ), The survival of human consciousness: Essays on the possibility of life after death (pp. 285-300). Jefferson, NC: McFarland. Storm, L. (2006). Where do we go from here? In L. Storm & M. A. Thalbourne (Eds. ), The survival of human consciousness: Essays on the possibility of life after death (pp. 263-284). Jefferson, NC: McFarland. Storm, L. (2005). A critique of the theory of psychopraxia. In M. A. Thalbourne & L. Storm (Eds. 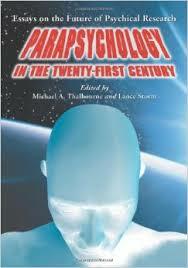 ), Parapsychology in the twenty-first century: Essays on the future of psychical research (pp. 205-219). Jefferson, NC: McFarland. Storm, L. (2005). A socioempirical perspective on skepticism about psi. In M. A. Thalbourne & L. Storm (Eds. ), Parapsychology in the twenty-first century: Essays on the future of psychical research (pp. 275-304). Jefferson, NC: McFarland. Storm, L. & Rock, A. J. (in press). An investigation of the I Ching using the Q-Sort Method and an RNG-PK design: II. The effect of reactance on psi. Australian Journal of Parapsychology, 14. Storm, L., Sherwood, S. J., Roe, C. A., Tressoldi, P. E., Rock, A. J., & Di Risio, L. (in progress). On the correspondence between dream content and target material under laboratory conditions: A meta-analysis of dream-ESP studies, 1966-2014. Storm, L., Tressoldi, P. E., Rock, A. J., & Di Risio, L. (in progress). Gathering in the sheep and goats: A meta-analysis of forced-choice sheep-goat studies, 1993-2013. Thalbourne, M. A., Johnson, P., Ashe, D. A., & Storm, L. (in press). Three questionnaire methods for measuring transhumanation. Journal of the Society for Psychical Research. Thalbourne, M. A., & Storm, L. (2014). A further study of exosomatic psychopraxia using the I Ching. Australian Journal of Parapsychology, 14, 115-142. Storm, L. & Rock, A. J. (2014). An investigation of the I Ching using the Q-Sort Method and an RNG-PK design: I. Four possible psi predictors. Australian Journal of Parapsychology, 14, 29-67. Rock, A. J., Storm, L., Harris, K., & Friedman, H. (2013). Shamanic-like journeying and psi-signal detection: II. Phenomenological dimensions. Journal of Parapsychology, 77, 249-270. Storm, L., Ertel, S., & Rock, A. J. (2013). Paranormal effects and behavioural characteristics of participants in a forced-choice psi task: Ertel’s Ball Selection Test under scrutiny. Australian Journal of Parapsychology, 13, 111-131. Storm, L., Ertel, S., & Rock, A. J. (2013). The sheep-goat effect as a matter of compliance vs. noncompliance: The effect of reactance in a forced-choice ball selection test. Journal of Scientific Exploration, 27(3), 393-411. Storm, L., Tressoldi, P. E., & Utts, J. (2013). Testing the Storm et al. (2010) meta-analysis using Bayesian and Frequentist approaches: Reply to Rouder et al. (2013). Psychological Bulletin, 139(1), 248-254. doi:10.1037/a0029506. Rock, A. J., & Storm, L. (2013). Shamanism, imagery cultivation, and psi-signal detection: A theoretical model, experimental protocol and preliminary data. International Journal of Transpersonal Studies, 31, 91-102. Rock, A. J., Storm, L., Harris, K., & Friedman, H. (2012). Shamanic-like journeying and psi-signal detection: I. In search of the psi-conducive components of a novel experimental protocol. Journal of Parapsychology 76, 321-347. Storm, L., Tressoldi, P. E., & Di Risio, L. (2012). Meta-analyses of ESP studies 1987-2008: Assessing the success of the forced-choice design in parapsychology. Journal of Parapsychology, 76, 243-273. Thalbourne, M. A., & Storm, L. (2012). Has the sheep-goat variable had its day? Testing transliminality as a psi predictor. Australian Journal of Parapsychology, 12, 69-80. Rock, A. J., Permezel, F. E., & Storm, L. (2012). Randomized expectancy-enhanced placebo-controlled trial of the impact of Quantum BioEnergetic distant healing and paranormal belief on mood disturbance: A pilot study. Explore: The Journal of Science and Healing, 8, 107-117. Storm, L. (2011). The case of a long-distance psychic: A pilot study on the accuracy testing of paranormal statements. Australian Journal of Parapsychology, 11, 7-39. Tressoldi, P. E., Storm L., & Radin, D. (2010). Extrasensory perception and quantum models of cognition. Neuroquantology: An Interdisciplinary Journal of Neuroscience and Quantum Physics, 8(4), S81-87. Storm, L., Tressoldi, P. E., & Di Risio, L. (2010). A meta-analysis with nothing to hide: Reply to Hyman (2010). Psychological Bulletin, 136(4), 491-494. doi:10.1037/a0019840. Storm, L., Tressoldi, P. E., & Di Risio, L. (2010). Meta-analyses of free-response studies 1992-2008: Assessing the noise reduction model in parapsychology. Psychological Bulletin, 136(4), 471-485. doi:10.1037/a0019457. Rock, A. J., & Storm, L. (2010). Shamanic-like journeying and psi: II. Mental boundaries, phenomenology, and the picture-identification task. Australian Journal of Parapsychology, 10, 41-68. Storm, L. (2009). Investigations of the I Ching: II. Reliability and validity studies. Australian Journal of Parapsychology, 9, 111-142. Storm, L. & Rock, A. J. (2009). Shamanic-like journeying and psi: I. Imagery cultivation, personality, and the picture-identification task. Australian Journal of Parapsychology, 9, 165-192. Storm, L., & Rock, A. J. (2009). Imagery cultivation vs. noise reduction: Shamanic-like journeying as a psi-conducive alternative to the Ganzfeld protocol. Australian Journal of Parapsychology, 9, 5-31. Storm, L. (2008). Investigations of the I Ching: I. Relationships between psi, time perspective, paranormal belief and meaningfulness. Australian Journal of Parapsychology, 8, 103-127. Storm, L. & Barrett-Woodbridge, M. (2007). Psi as compensation for modality impairment: A replication study using sighted and blind participants. European Journal of Parapsychology, 22, 73-89. Storm, L., & Burns, N. R. (2007). Pro attitude and macro-PK: A pilot study using neuro-feedback and EMG biofeedback. Australian Journal of Parapsychology, 7, 112-133. Storm, L. (2006). A parapsychological investigation of the I Ching: The relationships between psi, intuition, and time perspective. Journal of Parapsychology, 70, 121-141. Storm, L. (2006). Meta-analysis in parapsychology: I. The ganzfeld domain. Australian Journal of Parapsychology, 6, 35-53. Storm, L. (2006). Meta-analysis in parapsychology: II. Psi domains other than ganzfeld. Australian Journal of Parapsychology, 6, 135-155. Storm, L., & Thalbourne. M. A. (2005). The effect of a change in pro attitude on paranormal performance: A pilot study using naïve and sophisticated skeptics. Journal of Scientific Exploration, 19, 11-29. Storm, L., & Thalbourne, M. A. (2005). The effects of intuition and attitudes towards gambling on ESP performance during a gambling task. European Journal of Parapsychology, 20, 22-49. Thalbourne, M. A., & Storm, L. (2005). The self accomplishing: The achievements of the theory of psychopraxia. Journal of the Society for Psychical Research, 69, 213-226. Storm, L. (2003). Remote viewing by committee: RV using a ‘multiple agent/multiple percipient’ design. Journal of Parapsychology, 67, 325-342. Storm, L. (2003). Research note: Is the I Ching process cybernetic or non-cybernetic? European Journal of Parapsychology, 18, 77-86. Storm, L. (2003). Research note: The pro attitude and the ‘sheep-goat’ effect in the I Ching database. Australian Journal of Parapsychology, 3, 147-152. Storm, L., & Thalbourne, M. A. (2003). Perceived complexity, perceived task difficulty, and other states of mind: The influence of mental states on psi outcomes. Journal of the American Society for Psychical Research, 97, 155-174. Storm, L., & Thalbourne, M.A. (2001). Paranormal effects using sighted and vision-impaired participants in a quasi-ganzfeld task. Australian Journal of Parapsychology, 1, 133-170. Storm, L., & Thalbourne, M. A. (2001). Studies of the I Ching: I. A replication. Journal of Parapsychology, 65, 105-123. Storm, L., & Thalbourne, M. A. (2001). Studies of the I Ching: II. Additional analyses. Journal of Parapsychology, 65, 291-309. Storm, L. (2000). Research note: Replicable evidence of psi: A revision of Milton’s (1999) meta-analysis of the ganzfeld databases. Journal of Parapsychology, 64, 411-416. Storm, L., & Thalbourne, M. A. (2000). A paradigm shift away from the ESP-PK dichotomy: The theory of psychopraxia. Journal of Parapsychology, 64, 279-300. Storm, L. & Thalbourne, M. A. (1998-1999). The transliminal connection between paranormal effects and personality in an experiment with the I Ching. European Journal of Parapsychology, 14, 100-124.